- Added Weyerhauser TJI® I-joists: 110, 210, 230, 360, 560, 560D. - Rim joist option enabled for TJI floor joists. Only a rectangular configuration is available currently. If I can figure out how to code a polygon version of this that would be much more impressive (ie. pick the points that define the perimeter of the foundation and the plugin generates the complete floor layout). This is straying a bit from trusses but I figured if I'm going to include floor trusses I might as well make floor joists available as well, just a small bit of code to get there. This would then provide a fairly complete roof framing solution. 2.) Midspan blocking at user selected bearing points. Please suggest other options that might be handy to have. 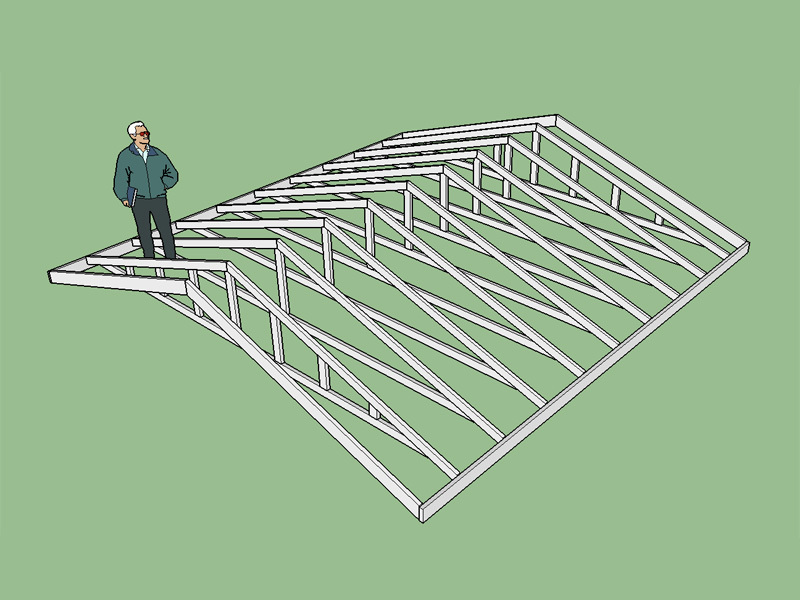 I thought about multi-ply girder trusses but I think for now it is not too hard for the user to simply create another instance of the truss component and manually stack them up to create double or triple ply trusses. However, this may be a bit ambitious at this point but I think it could be done. 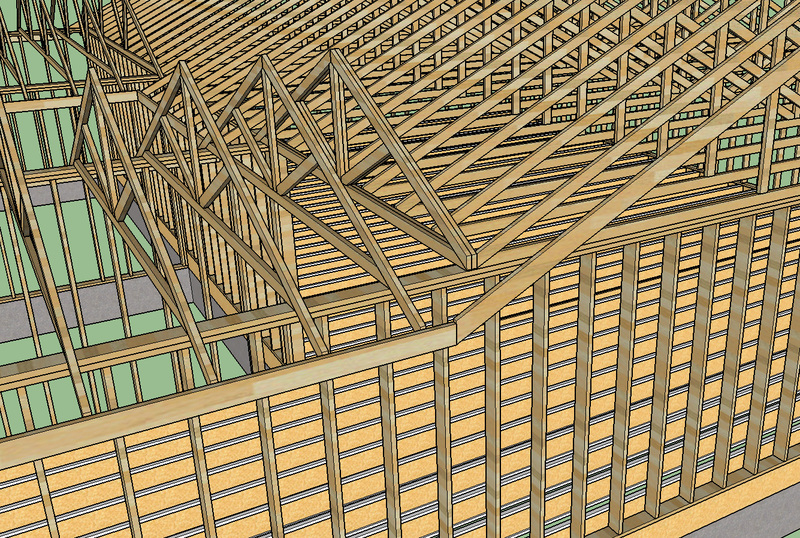 - Added separate toolbar icons for floor trusses and joists. 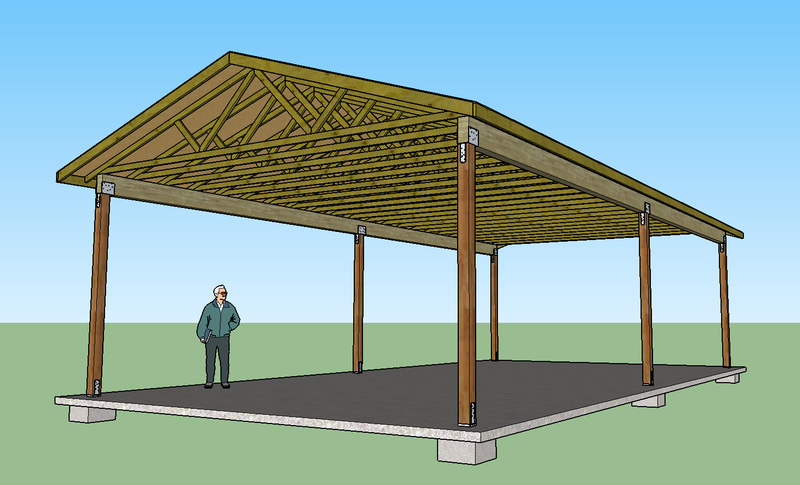 - Created separate submenu items under the Medeek Truss Plugin Extension for roof and floor trusses. The main menu was getting a bit cluttered and not so user friendly so I split it out into "Roof" and "Floor", hopefully this makes more sense. I'm not saying this is a hard and fast rule but it seems to give decent results. Minor variations (ie. 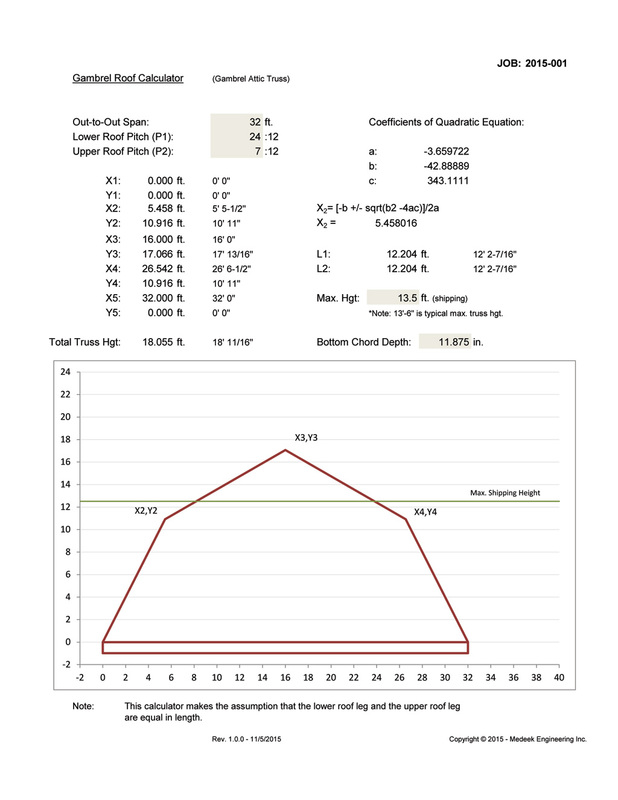 L1 not equal to L2) are generally okay but if one leg is significantly longer than the other the gambrel profile becomes distorted. 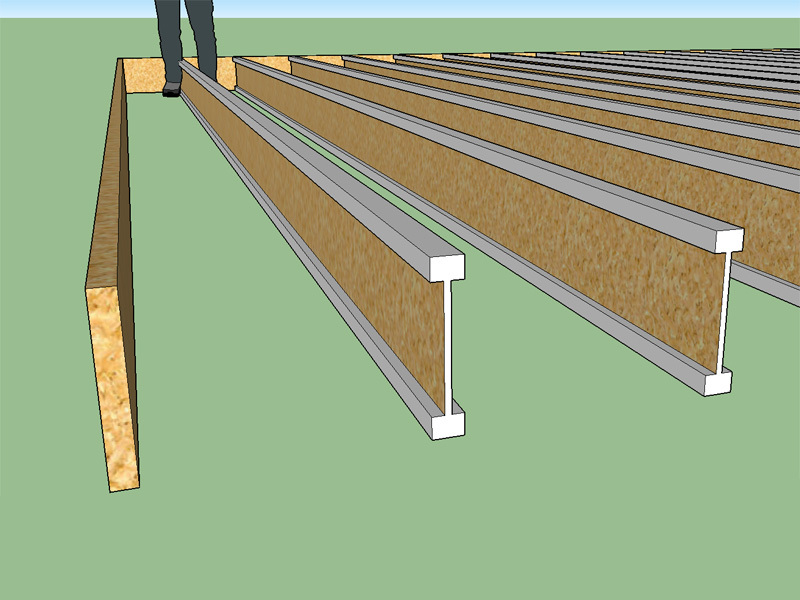 I'm working on the advanced options for roof trusses and I'm looking at the fascia board. I've come up with three different configurations for the fascia that I've seen in practice and in the architectural books that I have. Which method of the three below do you prefer? 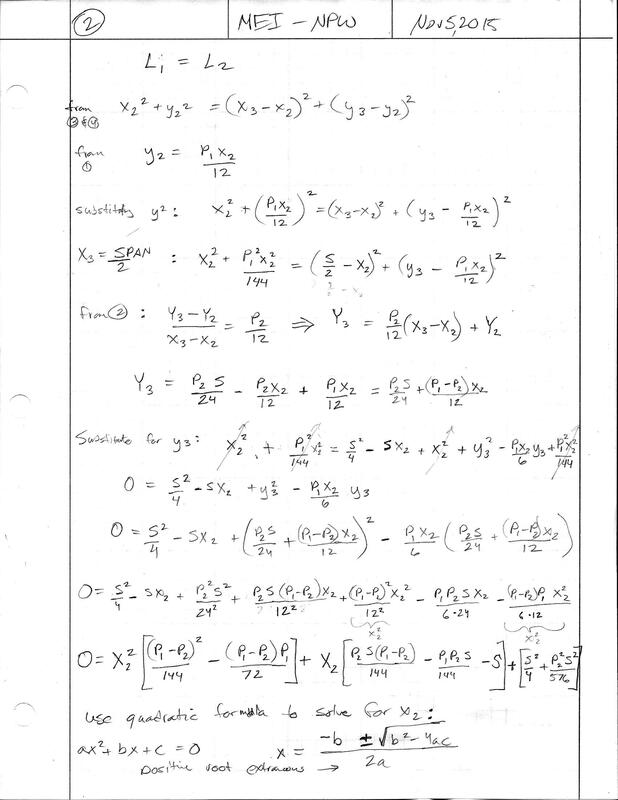 or is there another configuration that I have missed? Note that I am only interested in the sub fascia if there are additional trim boards that is up to the architect or designer. I think I will include the option for either of the 3 variants since it isn't too much more to code and I'm getting quite a mixed reaction from different builders and designers. I guess everyone has there preferred method. Another quite common fascia treatment is to use a 2x6 sub fascia with a 1x8 finish fascia (primed spruce or cedar). However, I am mostly interested in the sub fascia and then I'll leave it up to the designer/architect to dress it up further as needed. 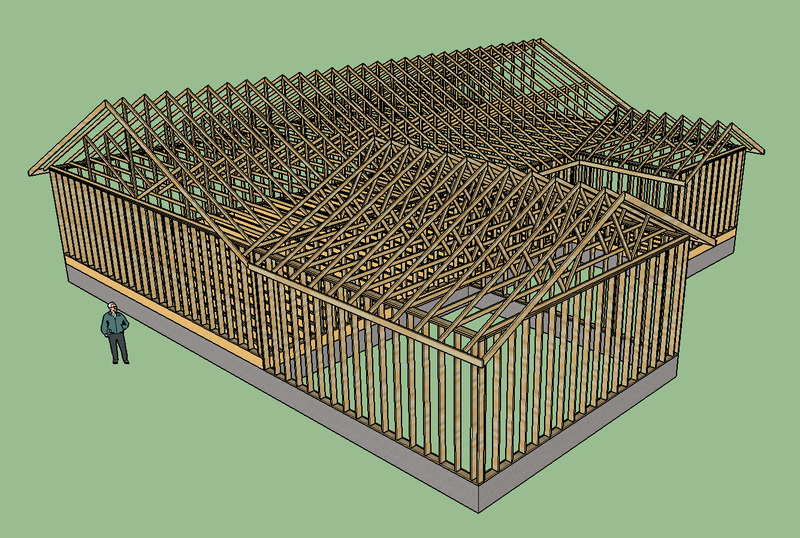 I'm trying to make the roof framing as easy as possible and basic structural items such as trusses, fascia, outlookers are all automated, then the designer can concentrate on the finish work (ie. ridge caps, trim fascia, barge boards, cupolas). I have also been researching vent blocking for trusses and I've seen a number of ways to do this both in practice and what is available within the code books. Specifically blocking over braced wall panels becomes more critical and necessary but even for non-braced wall segments there is the possibility of truss roll over and I would highly suggest blocking in all situations. 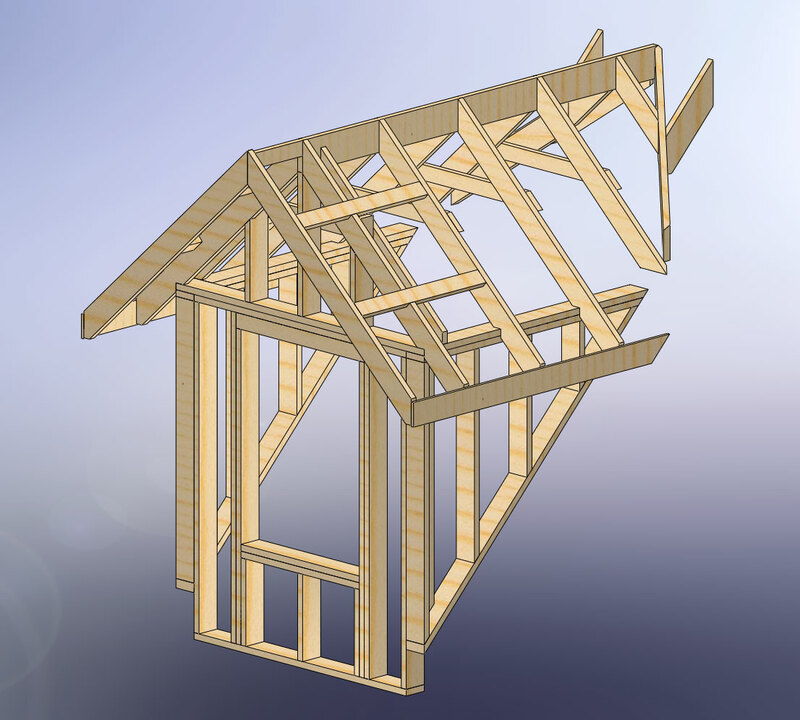 Raised heel trusses with large heel heights are given a "truss block" treatment. 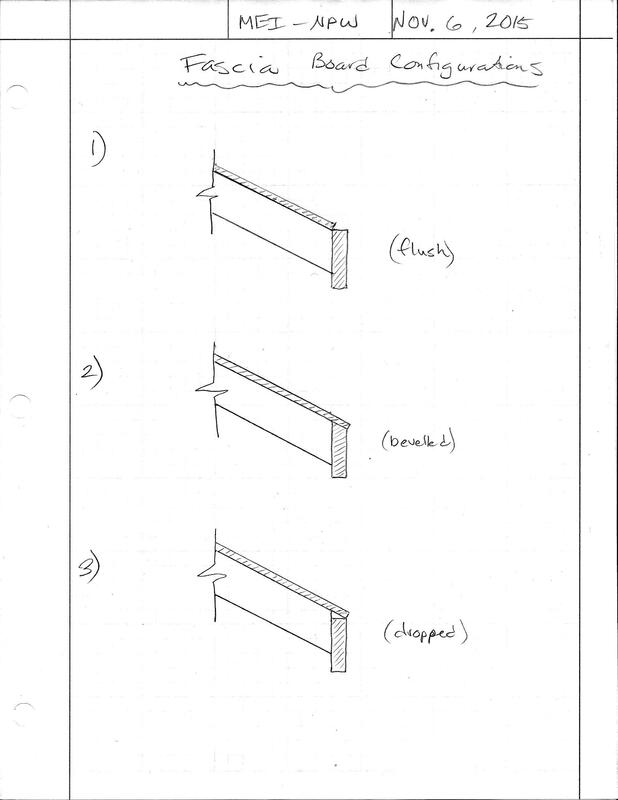 However, APA paper SR-103A (2014) goes into some detail about using only the wall sheathing extended over the top plate in low wind speed areas. 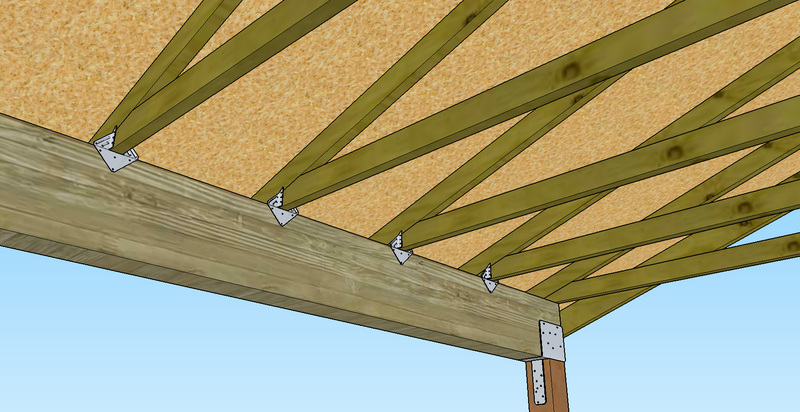 The heel blocking/bracing at heels of raised/energy trusses becomes more of an issue when a shearwall or braced wall panel is located beneath that segment of the wall line. Angled bird blocks seem to be the norm around here (Western Washington) however vertical blocking inline with the ext. wall framing seems to be the more acceptable and approved method. A max. 2" space is usually allowed for venting purposes however as a structural engineer I like to see full height blocking to the roof sheathing/diaphragm especially over shearwalls or braced wall lines. I can probably provide two to three option for blocking once I have arrived at a consensus on what is the most popular method(s) for blocking at the truss heel. Please feel free to chime in with suggestions or preferences in this regard. 2x6 fascia and rake boards with gable end trusses. I would show the sheathing but it covers up the trusses and then there is really nothing to look at. 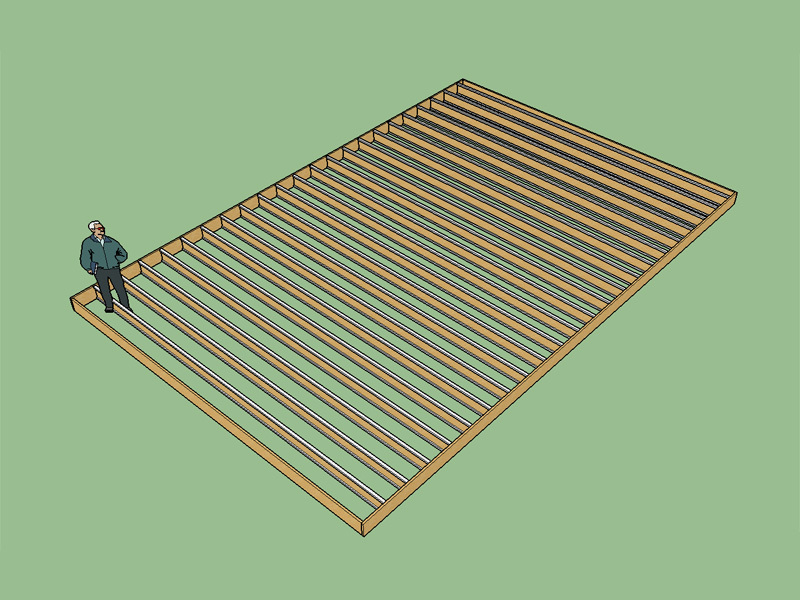 Just playing around with SketchUp a bit today and trying out the new sheathing, rakeboard and fascia capabilities in the plugin. The roof of this simple structure took all of 10 seconds to create, the rest about 20 minutes. I didn't realize Simpson Strongtie hardware is available in the 3D warehouse, good to know. I'm not going to say anything about lateral bracing of this structure, just modeling for fun. One can go so far as to put all of the H1 ties in. I could waste an entire day messing around in this software, way too much fun. I should be working on my regular work but SketchUp has an addictive hold on me at the moment. Trying to do a bit more complex roof line below. Immediately some things that pop out are the inherent complexities that occur when roof lines meet. The question is how to setup the plugin to automatically handle these situations, this will not be easy. I was able to easily trim and delete unnecessary rake and fascia boards as required. 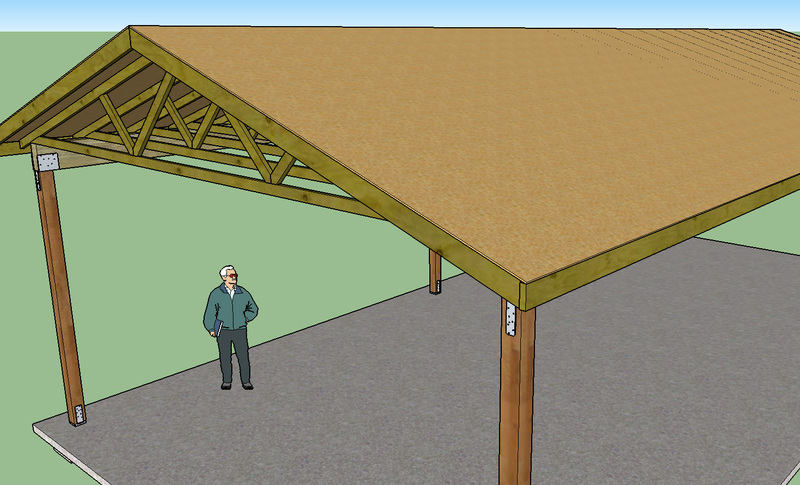 The trusses themselves need to be more dynamic so that one can adjust the overhang to zero as required. It is easy to select a number of component instances and make them unique and then adjust as required. 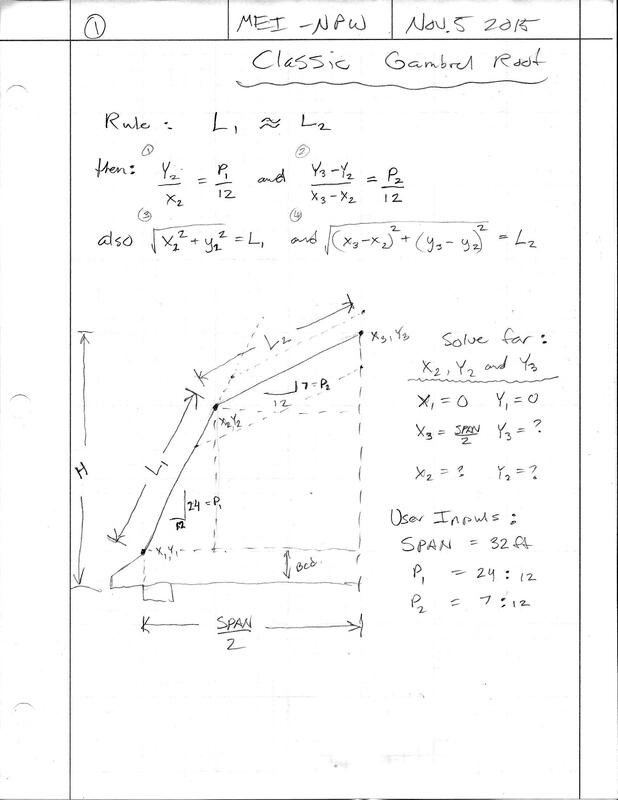 In the second image I've copied an instance of the queen post truss to create a girder analog. The other thing that needs some attention is the ability to easily create a valley set that frames over the larger roof line. I've got some ideas on this one, its going to take some interesting math but its not impossible.